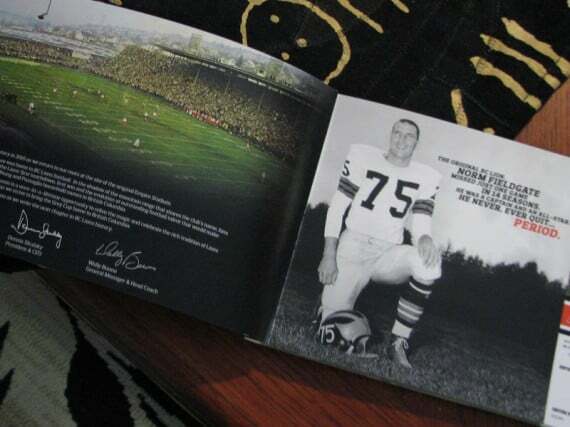 You are here: Home / Den Talk / Lions score big with 2010 season ticket design. 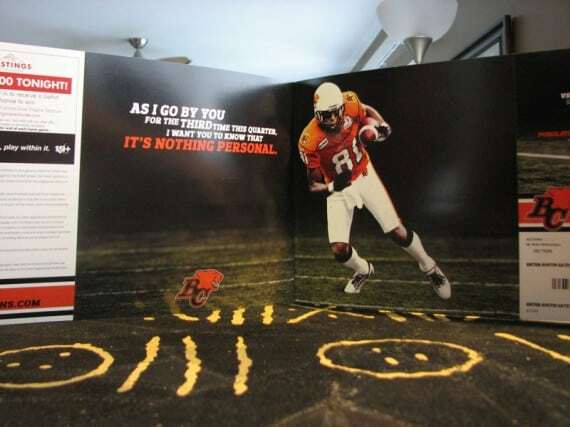 Lions score big with 2010 season ticket design. 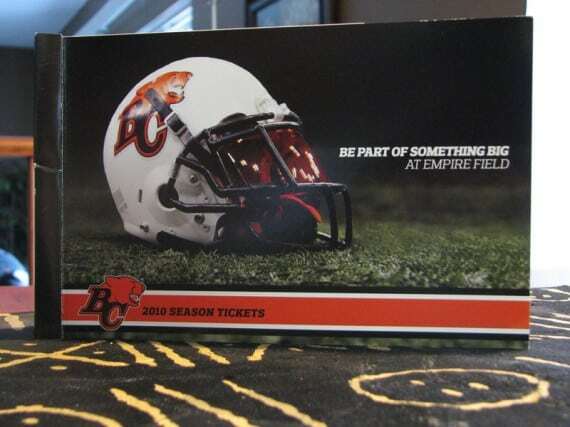 The season has yet to start, but the BC Lions have already scored a touchdown for their fans with and impressive season ticket package that celebrates the history of the team at Empire Stadium. Of course due to construction at BC Place Stadium, the Lions will play at a temporary facility located at the old Empire site. The facility will be called Empire Field, and will give younger fans of the team a sense of what the Lions old home was like, and allow older fans to relive the experience of outdoor football. 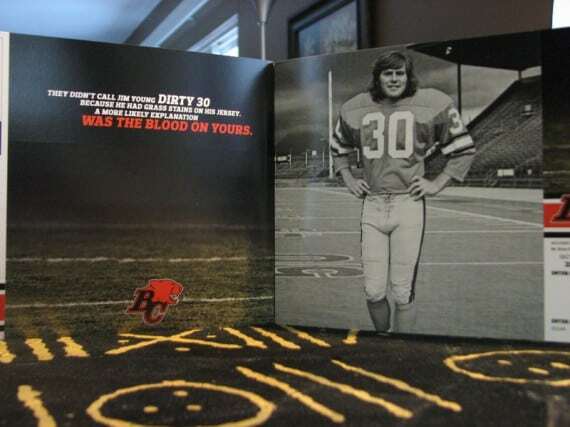 The tickets come in a nice book and each page has a great photo and some inspirational descriptions of former and present players. On the right side of each page a game ticket is attached that tears out of the book. The tickets themselves are smaller this season. 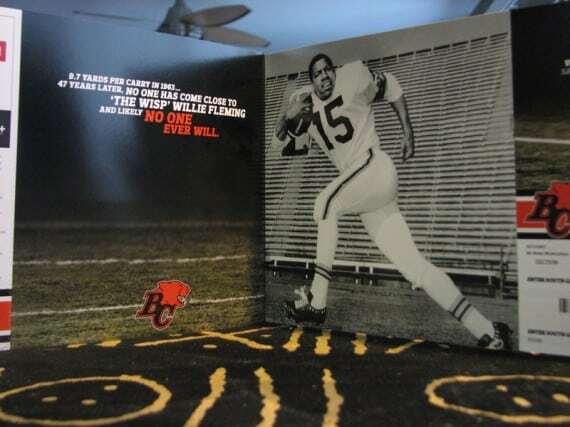 The Lions nailed it with these season tickets. They look great, they provide the fan with a souvenir book to keep, and they celebrate the history and present day of the club. I snapped a few pictures for out of town fans and game to game buyers.